Frustrated when your child runs off in public, especially when he thinks it’s a big game? Learn how to discipline your toddler running away in a gentle but effective way. 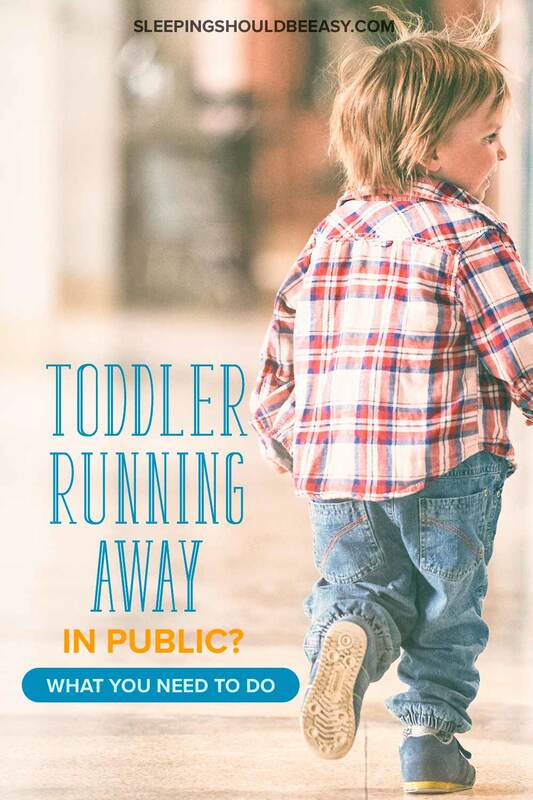 We’ve all seen the exasperated mom chasing after her toddler running away — maybe you’ve even found yourself in that situation. From the grocery store to the mall, your toddler prefers to dash ahead instead of walking by your side. He might even run away like it’s a game or hide out of sight as if playing peek-a-boo. The worst part? Each time you grab hold of him again, he greets you with a mischievous grin. It doesn’t help if you’re carrying loads of bags, are pregnant, or caring for your other kids all while this is happening. You’ve tried just about everything. You took away his favorite items, rewarded good behavior, and tried using a harness (which he somehow managed to break free from). You’ve even hollered, “I’m leaving now!” when he would run and hide, hoping he’d come back. Staying home all day isn’t an option, either. No false threats. It’s tempting to say, “I’m leaving now!” but it’s not exactly effective when you know you won’t leave. Also, false threats—just the same as any threats—is an imbalance of the relationship you’re trying to nurture with your child. Finally, false threats don’t mesh with the integrity and meaning your word that you want to model for him. Don’t lose your temper. If you’re like me, you may think being “extra strict” can convey how important it is not to run away (not to mention it’s hard not to overreact when it happens). The thing is, losing your temper alerts your child that his behavior can trigger this kind of reaction. Avoid using a harness. As easy as it may seem to simply tether your child to you, a harness doesn’t teach impulse control or self-regulation. Imagine your last shopping trip at the grocery store. Your attention was likely constantly shifting between finding the items you needed and making sure your toddler wasn’t getting himself into trouble. But what if, instead of seeing him as an added nuisance to the trip, you can talk and engage with him the whole time? You might have him put the items in the cart or “steer” the cart in the right direction (which makes sure he’s holding onto it). He can help you count how many apples to add to the bag or help you decide which brand of maple syrup to go with. The more engaged your child feels, the less likely he is to run off on his own. 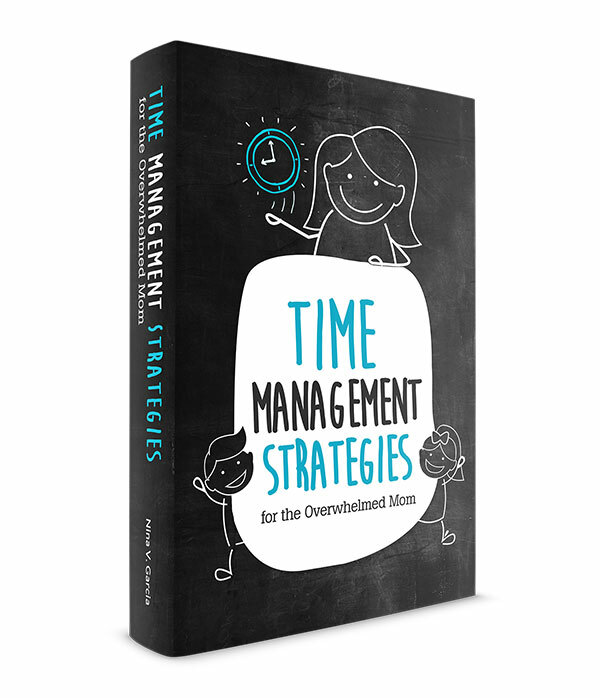 He’ll feel respected when his opinion counts or when he’s helping mom with important tasks. Whether your child runs off frustrated because he wants to go home already or is doing so with a grin on his face like it’s a game, he sees you as an “opponent.” After all, you’re likely yelling at him to stop running, or reprimanding him the minute he returns. One way to reach out to him and truly see what he’s going through is to show empathy. It’s easy to focus on all the ways he’s misbehaving, but beneath the tantrums and smirks are valid reasons driving him to behave this way. Could he be tired from a long shopping trip, or feeling ignored amid all the chores and errands left to do? Has he had a chance to get his energy out, or has he been cooped up too long? Could this be a deeper reaction to the new baby, or is he testing his limits as all toddlers do? 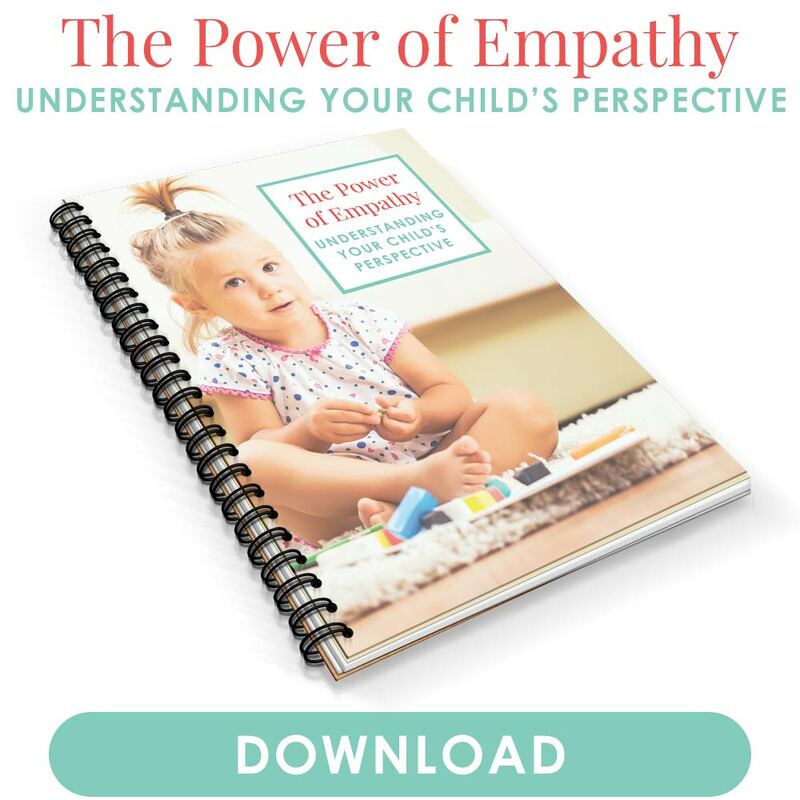 Empathy helps you better understand your child, while crumbling any defenses he may feel toward you as well. As much as it feels like you tell your child over and over to stop or not to run, sometimes it’s the way you say it that matters more. For instance, it’s not entirely true that he should “not run,” since running itself isn’t always not allowed—only in certain contexts. And he might even be confused when you tell him not to run through the mall on a crowded Saturday when just last week you let him do so during a weekday outing. Instead, reinforce the safety rules clearly, explaining why he can and can’t do certain things. You might say that hand-holding is non-negotiable when crossing the street because people driving cars may not be able to see him (while they can better see you). Or that hiding is only fun when both people decide to make a game of it, but certainly not at a restaurant when mommy doesn’t know where he is. Ideally, you want to go over these safety rules before you take him out in public. Describe how he’s allowed to run around the park, but only in the playground where you can still see him. Let him know that he needs to hold your hand at the mall today because there are too many people who might bump into him. Give clear safety rules so he knows what is expected of him and why it’s important to abide by them. The rules we implement are only as strong as the consistency surrounding them. The more consistent you are with what you say, the better your child understands (and takes you seriously). For instance, if you say you’re going to leave the library if he keeps running out of the children’s area, then you need to leave the next time he does. If hand-holding is non-negotiable when crossing the street, then you must hold his hand all the time, even when there are no cars nearby. Inconsistency only gives room for your child to experiment whether the rules apply to one context and not the other. Kids are wired to run around and expel energy. In fact, our pediatrician recommended that kids should not be sedentary for more than an hour (besides sleeping). Your child may simply need to move, regardless of where he is. So, prepare beforehand and help him get the jiggles out. Play a physical game at home before heading to the grocery store where you don’t want him to run around. Run with him around the block instead of only telling him to stop running away. And it doesn’t always feel good to be strapped into a stroller or car seat for long. This might explain why he’s ready to bolt the minute you undo the stroller straps—he’s been cooped up too long. If need be, arrive earlier at the library just so you can have him hop around near the door before going inside. As much as we try to course-correct when our kids run off, the best way to avoid it altogether is to prevent it from happening in the first place. Don’t take him with you. The easiest way is to decide whether you need to take him with you at all. Could you run this errand on a weekend when another adult could watch him at home? Will taking him to the park instead of the mall be a more appropriate way to spend your morning? Go at a good time. If you do need to take him (or simply want to), pick a good time to go. Monday morning at the grocery store is much easier than a Sunday afternoon trip. Make plans to play at the mall’s children’s area right when it opens, not at the peak lunch hour. Stick to familiar places. Keep new adventures to a minimum, while relying on your old standbys, so that you know the best ways to get in and out. You can focus on your child more when you don’t have to adjust to a new environment. Keep your outing quick. Kids tend to get wired up when they’re restless or want to go home. Do what it takes to make the outing efficient, such as planning which stores to go to first, or having a shopping list ready. If you feel he’s about to dart out of sight again, cut the trip short. Nothing sends a parent more into a panic than not knowing where her child is, even for a split second. Add to that the frustration of knowing he tends to do this over and over, whether because he’s mad or simply thinks it’s a game. But now you have the tools to better respond to and even prevent your toddler running away. Keep your child engaged during your outing so he doesn’t feel left out (and even feels important). Show empathy so he knows you understand what could be driving his behavior. Reinforce safety rules, whether before or during your outing, and follow through with consistency on what you say each time. And finally, prevent your toddler running away in the first place. Get the jiggles out, go at a good time and place, or simply keep him at home if possible. Now you can take your toddler on an outing—all without a harness to keep him in place. Tell me in the comments: what is your biggest struggle with your toddler running away from you?